This Marquise diamond is 1 carat in weight, and comes with Very Good polish and Good symmetry, as verified from an independent gemological laboratory. The diamond is graded H in colour, and has a clarity grade of SI1. The diamond's AGS grading report number is 104078258001, which will detail further its specifications and measurements, and will also come with the purchase of the stone. This Marquise diamond is 0.71 carat in weight, and comes with Good polish and Good symmetry, as verified from an independent gemological laboratory. The diamond is graded G in colour, and has a clarity grade of SI2. The diamond's AGS grading report number is 104097220004, which will detail further its specifications and measurements, and will also come with the purchase of the stone. AUD 11,108 Excl. Duties / Taxes. This Marquise diamond is 1.52 carat in weight, and comes with Excellent polish and Excellent symmetry, as verified from an independent gemological laboratory. The diamond is graded F in colour, and has a clarity grade of SI2. The diamond's AGS grading report number is 104101847002, which will detail further its specifications and measurements, and will also come with the purchase of the stone. AUD 14,218 Excl. Duties / Taxes. 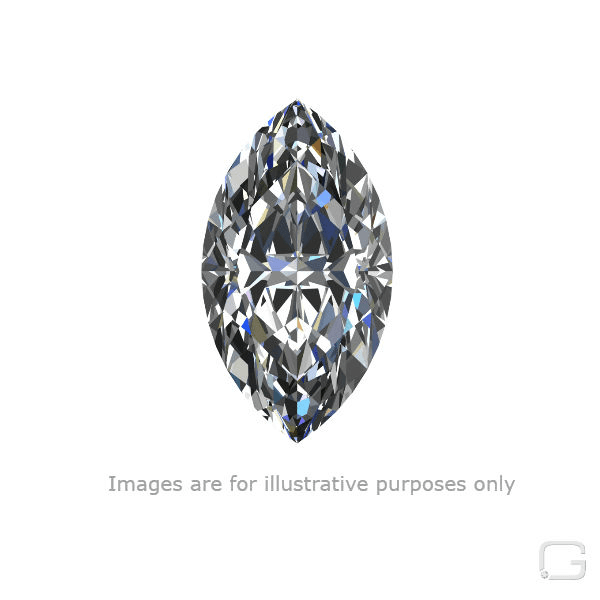 This Marquise diamond is 2.01 carat in weight, and comes with Good polish and Good symmetry, as verified from an independent gemological laboratory. The diamond is graded G in colour, and has a clarity grade of SI2. The diamond's AGS grading report number is 104071092001, which will detail further its specifications and measurements, and will also come with the purchase of the stone. AUD 3,191 Excl. Duties / Taxes. This Marquise diamond is 0.75 carat in weight, and comes with Very Good polish and Very Good symmetry, as verified from an independent gemological laboratory. The diamond is graded D in colour, and has a clarity grade of SI1. The diamond's AGS grading report number is 104103441001, which will detail further its specifications and measurements, and will also come with the purchase of the stone. AUD 63,448 Excl. Duties / Taxes. This Marquise diamond is 5 carat in weight, and comes with Very Good polish and Good symmetry, as verified from an independent gemological laboratory. The diamond is graded H in colour, and has a clarity grade of SI2. The diamond's AGS grading report number is 104104121001, which will detail further its specifications and measurements, and will also come with the purchase of the stone. AUD 29,357 Excl. Duties / Taxes. This Marquise diamond is 2.9 carat in weight, and comes with Excellent polish and Very Good symmetry, as verified from an independent gemological laboratory. The diamond is graded F in colour, and has a clarity grade of SI2. The diamond's AGS grading report number is 104103373001, which will detail further its specifications and measurements, and will also come with the purchase of the stone. This Marquise diamond is 0.7 carat in weight, and comes with Very Good polish and Very Good symmetry, as verified from an independent gemological laboratory. The diamond is graded G in colour, and has a clarity grade of SI2. The diamond's AGS grading report number is 104090969002, which will detail further its specifications and measurements, and will also come with the purchase of the stone. AUD 18,797 Excl. Duties / Taxes. This Marquise diamond is 2.01 carat in weight, and comes with Very Good polish and Good symmetry, as verified from an independent gemological laboratory. The diamond is graded E in colour, and has a clarity grade of SI2. The diamond's AGS grading report number is 104103278001, which will detail further its specifications and measurements, and will also come with the purchase of the stone. AUD 22,297 Excl. Duties / Taxes. This Marquise diamond is 3.38 carat in weight, and comes with Excellent polish and Very Good symmetry, as verified from an independent gemological laboratory. The diamond is graded L in colour, and has a clarity grade of VS2. The diamond's AGS grading report number is 104099565005, which will detail further its specifications and measurements, and will also come with the purchase of the stone. AUD 5,632 Excl. Duties / Taxes. This Marquise diamond is 1.62 carat in weight, and comes with Very Good polish and Very Good symmetry, as verified from an independent gemological laboratory. The diamond is graded M in colour, and has a clarity grade of SI2. The diamond's AGS grading report number is 104101797004, which will detail further its specifications and measurements, and will also come with the purchase of the stone. AUD 1,39,079 Excl. Duties / Taxes. This Marquise diamond is 7.22 carat in weight, and comes with Good polish and Good symmetry, as verified from an independent gemological laboratory. The diamond is graded F in colour, and has a clarity grade of SI2. The diamond's AGS grading report number is 104099565002, which will detail further its specifications and measurements, and will also come with the purchase of the stone. This Marquise diamond is 0.51 carat in weight, and comes with Good polish and Good symmetry, as verified from an independent gemological laboratory. The diamond is graded I in colour, and has a clarity grade of SI1. The diamond's AGS grading report number is 104057043023, which will detail further its specifications and measurements, and will also come with the purchase of the stone.